For how popular of a game as World of Tanks is, I haven't seen many benchmarks comparing different graphics cards/GPUs to the game performance. You might see one popping up every year or two with limited info about testing methods. When I read that 9.14 was going to move the sound processing to another CPU core, I decided that after 9.14 was released, it would be a good time to compare different GPUs. I'm going through the process of using different GPUs with the same replays to compare their performance. For smooth game play you want to keep your minimum FPS(Frames per Second) above 30 FPS. Games can start looking like a slide show below 30 FPS. Games tend to look smoother and are easier to play when you keep your minimum frame rates higher. Generally 50-60 FPS is where games start to look much smoother to most gamers. Some people with 60 Hz monitors prefer to have their minimum FPS never drop below 60 FPS then enable V-sync to reduce the visual effect called screen tearing. Other players have monitors that are capable of 75, 100, 120, or 144 Hz refresh rates and want higher average FPS in game. Minimum and average frame per second are a matter of both game play quality and personal preference and can be limited by the hardware. Maximum FPS isn't as important for game play as minimum FPS and average FPS. There is a myth that the human eye can't distinguish any difference above 30 frames per second, so that having more than 30 FPS is useless. In scientific testing, it has been proven that the human eye may be able to see differences in frame rate at over 200 frames per second. Other tests have shown that computer gamers can see a difference between 30 frames per second, 60 frames per second, and 100+ frames per second while playing computer games on newer monitors that have the capability of using refresh rates above 100 Hz. Also, some people say that television and movies are shown at approximately 30 FPS, so more than 30 FPS isn't necessary. However movies and television shows often use motion blur to hide what would seem to be jerky movement due to being played at 30 FPS. Another advantage of higher frame rates is less input lag and less game lag. You may have a great ping and no packet loss, but if you are averaging 30 FPS it may feel that you have higher ping when you play because there is more lag in the game itself. For example, if you play at 30 FPS, each frame is about 0.0333 seconds. If you play at 60 FPS, each frame is 0.0167 seconds. If you play at 100 FPS, each frame is 0.0100 seconds. To many players, having higher frame rates feels and acts like having a better in game ping. Some players feel that higher FPS in a game makes it easier to hit moving targets in game and to hit smaller targets in game. I downloaded quite a few replays from WoTReplays.com and found a few to find what I was looking for. I ended up using three different replays that I downloaded from WoTReplays.com. Two replays were used more than the third replay. The first replay is a Comet on Serene Coast. Link: http://wotreplays.com/site/2546813 The second replay is a Type 64 on Abbey. Link: http://wotreplays.com/site/2536214 The third replay is an IS-6 on Kharkov Link: http://wotreplays.com/site/2544611. I used the Comet replay because a large part of the battle occurs near the water, has tanks driving through water, and it is a good replay to see how the water quality settings affect game performance. The Type 64 replay was used because it has a wide variety of game play events, game environments, and was stressful to even higher end GPUs giving the lowest average frames per second and lowest minimum frames per second of all the different replays I tried. I also used the IS-6 replay because I wanted to see how stressful on the graphics heavy tank play is around buildings. It ended up that heavy tank play in the city is not very stressful on the GPU for most mid and high end GPUs. Several other replays of heavy tank play on city maps showed that it seems to be less stressful and yielded higher FPS than other types of replays. The IS-6 replay is more of a best case scenario instead of an average or demanding replay. Because of this I didn't use the IS-6 replay to test many of the GPUs. i7 3770K overclocked to 4.4 GHz and water cooled. The overclocked i7-3770K was used to reduce any limitations of the CPU performance in frame rates of the replays. Also the 3770K allows adjustment of CPU speed to see what effect CPU speed has on frame rate. *The GTX 970 was borrowed and returned to its owner. Testing time was limited. I used the Fraps program to record minimum, maximum, and average FPS. Each replay was measured by FRAPS for 3 minutes and 30 seconds. Measurement of the frames per second started when the countdown timer reached 00:00. The replays were measured three times in a row and the averages of the three replays with the same settings were used. Each replay was run three times to be sure there were no unusual reading of the FPS measurements and to ensure consistent and accurate results. No game mods were installed for the test. The results were very consistent for most of the GPUs with the usual variation of average and minimum FPS being 1 FPS or less. I noticed when comparing to previous tests of GPUs I performed using FRAPS and replays on the GTX 680M and the 8800 GTS 512MB that the minimum FPS results were less consistent in patch 9.14 than they were in patch 9.13 and earlier. However the minimum FPS rarely varied more than 3 FPS on the GTX 680M and 8800 GTS 512MB when running the same replay three times in a row or when running the same replay on different days to see if I'd get the same results. In addition to the effect of different GPUs on frame rate, different graphics options and different CPU speeds were tested for their effect on frame rate to determine what options have the highest effect on frame rate. Even though sound processing was moved to another core, World of Tanks still depends on single threaded performance to determine FPS. However, less of the CPU's single threaded performance is used for sound. I tested WoT at "Full Maximum" graphics and varied the CPU speed. As you can see, there is a point where increasing the CPU speed doesn't yield much better frame rates. This is most likely the limit of the graphics card if increasing the CPU speed doesn't have a significant increase in FPS. I'll be doing further testing with other GPUs to determine if the CPU speed that no longer makes a difference is FPS is similar or if it varies on different GPUs. On lower graphics settings there is also an issue where the average FPS and minimum FPS seem to vary little between GPUs because many of the GPUs spend a large part of time at the game maximum of 120 FPS. The Bigworld Game engine is listed as one of the game engines that support Nvidia PhysX. I've seen players ask, "When I upgrade my video card, should I save my old one and use it for a dedicated PhysX card for World of Tanks?" I put the GTX 750 ti in the second PCI Express 3.0 x16 slot in my motherboard and went into the Nvidia Control Panel and set the GTX 750 ti as a dedicated PhysX card. Then I reran the benchmarks for the GTX 960 on the Abbey and Serene Coast replays. The results are below. You can see there was no significant improvement in minimum or average frame rate by using a second Nvidia GPU as a dedicated PhysX card. It looked liek the average FPS was actually slightly higher in both replays by not having a dedicated PhysX GPU. However, the slightly higher frame rate is well within the margin of error. If you are interested in more detailed FPS info with the Type 64 replay on the Abbey map, you can click the link below. More detailed info PhysX vs No PhysX. In summary, it looks like World of Tanks does not benefit from a dedicated Nvidia PhysX GPU. The in game "Maximum" graphics setting does not turn all the graphics sliders all the way up. Also, the in game "Maximum" graphics setting does not enable AA. For the first benchmark comparison, I turned all the sliders all the way up, enabled TSAA-HQ, set the FOV to 95 degrees, set 3D Render Resolution to 100%, and turned off Dynamic Adjustment and Dynamic Changes of Effects. This increases graphics and effects quality and is more demanding on the GPU than the in game "Maximum" setting. Screenshots of the settings used are below. At 1920x1080 resolution, all the the GPUs tested with full maximum graphics settings used between 1.7 GB and 1.9 GB of graphics memory according to MSI Afterburner. The 4 GB memory GPUs did not use more than 1.9 GB of graphics memory at either resolution. MSI Afterburner was run separately to the FPS benchmark tests to see the graphics memory used. GTX 970: For players who don't want their FPS to drop below 60 FPS in game at 1920x1080 resolution at this graphics setting, the GTX 970 works very well. It was the only GPU tested that was able to maintain a minimum FPS greater than 60. Because of the high minimum and average FPS the GTX 970 is capable of, it offers very smooth game play at this graphics setting. You can see that the GTX 960 did similar in minimum frame rates as the GTX 970. However the GTX 970 had much higher average frame rates at this graphics setting. The GTX 970 Graphics cards with similar specs to the one used here currently sell for $295-$380 in the US market. GTX 960: If you play with V-sync enabled on a 60Hz refresh rate monitor and no game mods or minimal game mods, the GTX 960 will be adequate for most game situations at 1920x1080 resolution with this graphics setting and offer very smooth game play. The GTX 960 costs over $100 less than the GTX 970 at current US market prices and has a minimum FPS that is only slightly below 60 FPS. The GTX 960's with similar specs to the one used here sell for $165-$185 in the US market. One thing to consider with the GTX 960 is if you play other games that require more graphics memory, a GTX 960 with 4 GB of graphics memory and similar GPU speed to the one tested here currently sell for $185-210 in the US market. GTX 660 ti: Considering that the GTX 660 ti is a GPU released in the summer of 2012, its performance is still very good in World of Tanks. With an average FPS greater than 60 and a minimum frame rate slightly less than 50 FPS the GTX 660 ti can offer smooth game play at this graphics setting. Also, fully functional GTX 660 ti graphics cards are selling for $65-100 on eBay in the US depending on the model and included accessories. The GTX 660 ti s a very good deal for World of Tanks if you have under $100 to spend on a graphics card. However, a four year old, used GPU usually doesn't have a warranty if that is a concern to you. R7 370: The R7 370 couldn't hit an average of 60 FPS in game at these settings. However, the minimum FPS stayed above 40 which would allow for mostly smooth game play at this graphics setting without game mods installed. The R7 370 I used was a factory overclocked model and is one of the highest overclocked R7 370 graphics cards on the market at 1050 MHz. There are a few R7 360 models with slightly higher clock speeds available. I tried this R7 370 overclocked to 1100 MHz and the FPS results were almost the same as the factory overclock of 1050 MHz. The factory overclocked R7 370 models with similar speeds all currently sell for $125 to $160 in the US market. GTX 750 ti: The GTX 750 ti was able to maintain a minimum of over 30 FPS at this graphics setting. While the game play wouldn't be as smooth as a GPU capable of 60 FPS minimum, the game is playable if the minimum FPS doesn't drop below 30 FPS. I could see a difference between the GTX 750 ti and the GTX 960 while playing the game with both GPUs back to back. If you install game mods, your minimum FPS will likely be below 30 FPS and that will be noticeable. The GTX 750 ti used in this test is a model that uses power from the PCI Express x16 slot. It does not require external power. You can buy half height GTX 750 ti video cards that can be used in slim and small form factor computers. There are faster GTX 750 ti models that use a 6 pin external power connector and are overclocked well above factory specs. I did not have one available for testing. The overclocked GTX 750 ti graphics cards that require 6 pin external power currently sell for about $130 in the US. At $130 you can buy a video card with a faster GPU. The GTX 750 ti graphics cards that don't require external power sell for $95-$110 in the US market at this time. GTX 680M: The GTX 680M is a mobile GPU that was released in the summer of 2012. The GTX 680M on the laptop still maintained a minimum FPS of about 30. This allowed for the game play to be smooth, but I could see a difference between the GTX 680M and the GTX 960 while playing the game. If you install mods, the GTX 680M will most likely need lower graphics settings to maintain a minimum of 30 FPS in game. The GTX 750 ti and GTX 680M offered similar performance with the GTX 750 ti having a slightly higher minimum frame rate while the GTX 680M had a slightly higher average frame rate at this graphics setting. Both the GTX 680M and GTX 750 ti use different methods of achieving similar results. The GTX 750 ti relies on faster clock speeds, while the GTX 680M relies on a higher throughput due to more processing cores. R7 360: The R7 360 couldn't maintain a minimum of 30 FPS and struggles to maintain 25 FPS at this graphics setting. During the replay and while playing the game with the R7 360, the game didn't appear to be smooth in many occasions. I noticed instances of the slide show effect and my mouse movements making the aim point move where I didn't want it to be. I wouldn't recommend the R7 360 at this graphics setting for smooth game play. The R7 360 graphics cards sell for $90-$130 in the US at this time. If you are playing World of Tanks without mods or maybe with minimal mods and using the "Full Maximum" setting described above, the two GPUs that will allow for truly smooth game play are the GTX 860 and GTX 970. The GTX 660 ti is a close runner up with an average FPS of almost 64 FPS. The R7 370, GTX 750 ti, and GTX 680M were playable and maintained above 30 FPS. I would not recommend the R7 360 at this graphics setting. If you only had $100 to spend on a graphics card for World of Tanks and were not interested in buying a used graphics card, I'd recommend the GTX 750 ti over the R7 360 based on the results of these tests.. The game preset "Maximum" was selected. Other setting included, AA was turned off, FoV was set to 95 degrees, set 3D Render Resolution to 100%, and turned off Dynamic Adjustment and Dynamic Changes of Effects. No game mods were installed. GTX 970: For players who don't want their FPS to drop below 60 FPS in game at 1920x1080 resolution at this graphics setting, the GTX 970 works very well. The GTX 970 averaged over 100 FPS and its minimum frame rate was slightly below 70 FPS at the Maximum graphics setting. The GTX 970 will likely keep the minimum frame rate above 60 FPS with a few minor mods installed such as XVM and cross hair. GTX 960: The GTX 960 offered a minimum frame rate that was only slightly below that of the GTX 970. However its average frame rate was slightly above 90 FOS instead of 100 FPS. The GTX 960 has more than enough performance for playing World of Tanks with no mods if you want to never drop below 60 FPS. At this graphics setting the GTX 960 might even keep the minimum FPS around or above 60 FPS with a few game mods installed such as a basic XVM config and cross hair. GTX 660 ti: The GTX 660 ti continued to perform well for an older GPU. At this graphics setting the average frame rate was above 70 FPS and the minimum framerate was 55 FPS. Overall, this GPU is capable of keeping the FPS above 60 most of the time, so that playing with V-sync enabled and not dropping below 60 FPS often is possible. R7 370: The R7 370 performed similar to the GTX 660 ti at this graphics setting. The average FPS was slightly higher than the GXT 660 ti. However, the minimum FPS of the R7 370 was lower than the GTX 660 ti. This is another GPU is capable of keeping the FPS above 60 most of the time, so that playing with V-sync enabled and not dropping below 60 FPS often is possible. GTX 680M: The GTX 680M continued to perform well for an older mobile GPU. The average frame rate was just below 60 FPS and the minimum frame rate was above 40 FPS. Overall game play was smooth with this GPU. Installing game mods might bring the minimum frame rate close to 30 fps depending on what game mods you install. Adding XVM and cross hair might allow the minimum frame rate to stay above 30 FPS. GTX 750 ti: The GTX 750 ti was still smooth and playable at this graphics setting. The average frame rate was 55 FPS and the minimum frame rate was a little below 40 FPS. Just like the GTX 680M, installing game mods might bring the minimum frame rate close to or below 30 FPS depending on what game mods you install. Adding XVM and cross hair might allow the minimum frame rate to stay above 30 FPS. R7 360: The R7 360 managed an average frame rate just above 50 FPS and barely managed to keep the minimum frame rate above 30 FPS at this graphics setting. Installing mods and using this graphics setting will make the minimum frame rate drop below 30 FPS and have an effect on game play. Based on the results above, both the GTX 970 and GTX 960 work well for a player who wants to keep the minimum frame rate above 60 FPS. The GTX 660 ti and R7 370 also both worked well for players wanting smooth game play with their minimum frame rates being around 55 FPS. The GTX 660 ti continued to be a good value for a used GPU for World of Tanks. Again, I'd recommend the GTX 750 ti over the R7 360 if you only had $100 to spend on a new GPU for World of Tanks. The game preset "High" was selected. Other setting included, AA was turned off, FoV was set to 95 degrees, set 3D Render Resolution to 100%, and turned off Dynamic Adjustment and Dynamic Changes of Effects. No game mods were installed. With the graphics at the "High" preset, the GTX 970, GTX 960, GTX 660 ti, and R7 370 all were able to keep a minimum FPS above 60 FPS at 1920x1080 resolution. If maintaining a minimum of 60 FPS at 1920x1080 resolution is important to you, then all three of these cards will get that done as long as you don't play with game mods installed. Even on the "High" graphics setting we are starting to see similar minimum FPS and average FPS results from several GPUs. Both the GTX 970 and GTX 960 were hitting 120 FPS in several areas of the replay. Both the GTX 660 ti and R7 370 were hitting a maximum FPS of just under 120 FPS in several areas of the replay. GTX 970: The GTX 970 started to hit the frame rate limit in World of Tanks at this setting with parts of the replay were capped at 120 FPS. At the High graphs setting, the GTX 970 should be more than capable of maintaining a minimum frame above 60 FPS even with some mods installed. GTX 960: The GTX 960 was occasionally hitting the frame rate limit in World of Tanks at this setting. The minimum frame rate was slightly below that of the GTX 970. However the average frame rate was about 5 FPS less than the GTX 970. That might not be an accurate representation of the performance difference between the GTX 970 and GTX 960 because of the GTX 970 being capped at 120 FPS for larger parts of the replay. The GTX 960 should be able to maintain a minimum of 60 FPS at this graphics setting with soem mods installed. GTX 660 ti: The GTX 660 ti again showed itself as being a good value in a used GPU for World of Tanks. The minimum frame rate was similar to that of the GTX 960. The GTX 660 ti should be able to maintain a minimum of 60 FPS at this graphics setting with some mods installed. R7 370: The R7 370 had a similar average FPS to that of the GTX 660 ti. However it minimum frame rate was consistently a little lower. The R7 370 continued to be a good value for a GPU in World of Tanks. The R7 370 should be able to maintain a minimum of 60 FPS at this graphics setting with some mods installed. GTX 750 ti: The GTX 750 ti performed well at this graphics setting. Overall it offered smooth game play with its average frame rate being close to 75 FPS and its minimum frame rate being a little less than 55 FPS. If you play with no mods installed and want your frame rate to stay above 60 FPS most of the time the GTX 750 ti will do that at this graphics setting. With mods installed, the average frame rate will probably stay above 60 FPS. GTX 680M: The GTX 680M offered smooth game play at this graphics setting and did well for an older mobile GPU. The average frame rate stayed above 60 FPS and the minimum frame rate was just under 48 FPS which allows for smooth game play. With some game mods installed the GTX 680M should be easily capable of keeping the minimum frame rate above 30 FPS at this graphics setting. R7 360: The R7 360 was able to maintain an average frame rate equal to the GTX 680M. However, its minimum frame rate was lower than the GTX 680M at 41 FPS. Overall, game play at this setting should be smooth at this graphics setting. With some game mods installed the R7 360 should be easily capable of keeping the minimum frame rate above 30 FPS at this graphics setting. Again, if your budget for a new GPU for World of Tanks is $100, I'd recommend the GTX 750 ti over the R7 360. The game preset "Medium" was selected. Other setting included, AA was turned off, FoV was set to 95 degrees, set 3D Render Resolution to 100%, and turned off Dynamic Adjustment and Dynamic Changes of Effects. No game mods were installed. GTX 970: The GTX 970 was not completely tested under the "Medium" graphics setting. Under the "High" graphics setting, the GTX 970 spend parts of the replays at the game's limit of 120 FPS. There is a game engine limitation that doesn't allow faster frame rates than 120 FPS in World of Tanks. Testing the GTX 970 under "Medium" would not yield accurate results because the average FPS would be skewed by the game's limitation of 120 FPS. One test of both the Type 64 replaya nd Comet replay were done with the GTX 970 at the Medium graphics setting and the Fraps log file showed large parts of the replay's frame rate capped at the game's maximum of 120 FPS. GTX 960 GTX 660 ti R7 370: The GTX 960, GTX 660 ti and R7 370 all ran into the issue where they hit the cap of 120 FPS for portions of the replay using the "Medium" setting. This caused all three GPUs to yield similar results for average and minimum FPS. I'm not sure if its due to a CPU limitation or a game engine limitation due to the single threaded nature of the game or a combination of both. The GTX 960, GTX 660 ti, and R7 370 all have different pixel fill rates and texel fill rates according to benchmarks. Also, the GTX 960, GTX 660 ti, and R7 370 all give different benchmark result in WoT at other settings and in other games. Therefore, its probably not a GPU issue limiting the performance on the "Medium" setting. All of them also offered smooth game play at the "High" setting. Unless the use of mods decreases your frame rates significantly, I'd suggest using the GTX 960, GTX 660 ti, and R7 370 at the "High" preset. GTX 750 ti: The GTX 750 ti maintained a minimum frame rate of almost 73 FPS and an average frame rate of over 95 FPS at this graphics setting. This allows for very smooth game play and also would allow for some game mods to be installed without the frame rate dropping below 60 FPS. R7 360: The R7 360's minimum frame rate at this graphics setting was 59 FPS. That's more than adequate for players who want keep a their frame rate of 60 FPS. The actual amount of time the frame rate would be below 60 FPS is rather low. Of course installing mods would drop the frame rate below 60 FPS. Again, I'd recommend the GTX 750 ti over the R7 360 if you only had $100 to spend on a new GPU for World of Tanks. The difference of 12 FPS in the minimum frame rate between the GTX 750 ti abd R7 360 is a significant difference. GTX 680M: The GTX 680M should offer smooth game play at this graphics setting with an average frame rate close to 75 FPS and a minimum frame rate of 50 FPS. However, the GTX 680M didn't quite have the ability to keep the minimum frame rate close to 60 FPS at this graphics setting. 8800 GTS 512: The performance og the 8800 GTS 512 at the Medium graphics setting isn't adequate for good game play. It was definitely noticeable when the frame rate dropped and replay did spend significant portions of the battle below 30 FPS. If you are using an older GPU, you should either use the Low" graphics setting or play at a lower resolution. I was able to test World of Tanks with an 8800 GTS 512 and also compare its game performance to the Intel i7 integrated HD 4000 graphics. The test was conducted at 1920x1080 resolution. 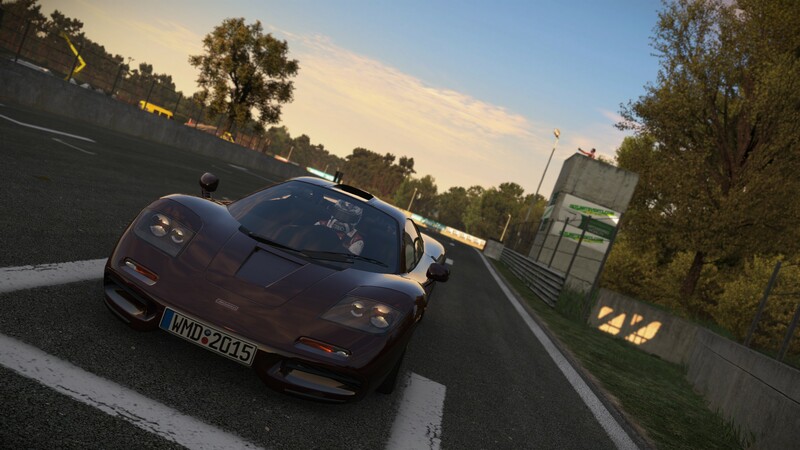 The 8800 GTS 512 offered poor performance using the in game "Medium" graphics setting at 1920x1080 resolution. The minimum FPS was consistently 25 FPS and the average FPS was below 40 FPS. The lack of smoothness was noticed while playing the game. If you are using an older GPU, I' suggest a resolution much lower than 1920x1080. At the "Low" setting the 8800 GTS 512 was very smooth and playable. The 8800 GTS 512 made high frame rates in World of Tanks at 1920x1080 resolution on the "Low" setting. I tried the 8800 GTS 512 at 1600x900 resolution and achieved a minimum of 35.33 FPS and an average of 49.49 FPS with the Type 64 replay. This frame rate is playable and won't give you the slide show effect when the frame rate drops below 30 FPS that will happen with this GPU at higher resolutions. With older/slower GPUs I'd recommend lower resolution settings if you don't want to use the "Low" or "Minimum" graphics. The 8800 GTS 512 is a GPU that was released in December 2007 and has 512 MB of video RAM. I was curious if it offered better performance in World of Tanks than the integrated HD 4000 graphics on the i7 processor on the in game "Low" setting. As you can see at the in game "Low" setting an older GPU is still an improvement over the Intel HD 4000 integrated graphics. Using the "Full Maximum" graphics option explained above, the graphics settings were tested with them being turned down to "Low" or "Off" to see if they had a significant change in frame rate. Most fo the settings had a minimal effect on minimum or average FPS in the game. However there were a few setting that when turned to "Low" or "Off" had a significant effect on frame rate across multiple GPUs. As you can see, turning shadows off consistently improved FPS among many different GPUs. Turning Lighting off also significantly improved FPS on most GPUs. For some unusual reason turning lighting off actually decreased the minimum FPS on the GTX 970 while increasing the average FPS. This was verified after the computer was rebooted and the replay's FPS was measured again with both the "Full Max" baseline settings and Lighting "Off" in graphics options.. Turning off Extra Effects Off in both regular mode and sniper mode had a significant improvement on FPS. Turning off Anti-aliasing (TSAA-HQ) improved the FPS on less powerful GPUs the most. On the GTX 970 and GTX 960, turning AA off didn't change minimum FPS. In testing the replay with the Comet on Serene Coast, turning the water quality to "Low" resulted in a 0 to 3 FPS improvement in minimum FPS and average FPS over water quality being set to "maximum" on all the GPUs tested. As an experiment, I ran each GPU through a series of benchmarks after the World of Tanks FPS testing with each GPU to see if there was a correlation with any other benchmark and World of Tanks performance. I tried the following benchmarks to see if there was a good correlation between performance in those benchmarks and World of Tanks average FPS or minimum FPS. Passmark 3D GPU benchmark 3DMark Fire Strike 3DMark Sky Diver 3DMark Cloud Gate 3DMark 3D Mark 11 3DMark 3D Vantage 3DMark 3D Vantage Extreme Texel Fill Pixel Fill There was no strong correlation between relative performance in those benchmarks and relative performance in minimum FPS or average FPS in World of Tanks 9.14. Unfortunately, you can use other benchmarks of GPU performance to estimate World of Tanks FPS performance of different GPUs. Using the different graphics settings can vastly improve game play performance in World of Tanks. You can customize the settings on most newer graphics cards, including ones that cost about $100 new, to achieve smooth game play. Overall, the faster the GPU, the higher the FPS will be in World of Tanks. However, you don't need to spend $600 on a GTX 980 ti for World of Tanks to get good performance in this game. Even a GPU form 2007 will play World of Tanks on Low settings or lower resolutions very well and integrated graphics on some newer CPUs will play World of Tanks at a playable level. If you play games other than World of Tanks, take a graphics card's performance in those other games into consideration in addition to World of tanks performance. I received no free hardware for testing or evaluation from any retailer or manufacturer of computer hardware for this comparison test. I previously purchased Fraps to test other games. I owned some of the GPUs used in the test, borrowed the GTX 970(and paid for overnight shipping to send it back to its owner), and purchased a few other GPUs for testing when I found them on sale for below average prices(Used, demo models sitting in a display case at a hardware shop, last one in inventory, etc...). I will be buying other GPUs to add to testing of World of Tanks version 9.15. Neverwish, is it possible to add the HTML PayPal link be added to the end of the Wotlabs article?